Americans were much less optimistic about the outlook for the economy in early April, the latest sign of expectations for a sustained slowdown in growth. Consumer confidence fell to 96.9 at the beginning of the month, according to the University of Michigan’s consumer sentiment index, compared with expectations for a reading of 98.2. Americans don’t expect much more to come from the $1.5 trillion tax-cut package passed in late 2017, the data suggested. 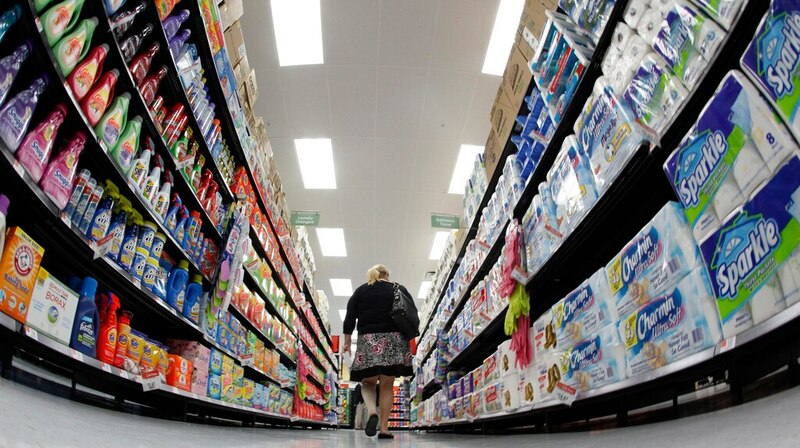 Consumer confidence fell to 96.9 at the beginning of the month from 98.4 in March, the University of Michigan’s index indicated in its preliminary report on Friday. Economists surveyed by Bloomberg had expected a reading of 98.2. While consumers saw conditions in April as better than the previous month, their medium-term outlook for the economy fell sharply. Expectations for five years in the future fell to the lowest level since January 2018. Respondents were less focused on tax cuts than in previous months, indicating Americans don’t expect much more to come from the $1.5 trillion package passed in late 2017. “The data do suggest that consumers thought that its stimulative impact on the overall economy has now run its course,” said the survey’s chief economist, Richard Curtin. Forecasters expect the economy to slow in the coming months as those stimulus measures fade, growth in other countries cools, and trade tensions persist. But the declining outlook in April came despite a recent rebound in employment results and financial markets. Consumers were optimistic about a rise in real adjusted earnings, but increasingly voiced complaints about rising vehicle and home prices. Slight declines in unit sales of both markets are anticipated in 2019, the survey said. “Taking a step back from the monthly volatility, the expectations index has trended gradually lower over the past six months,” said Michael Pearce, chief US economist at Capital Economics.